In New Hampshire, the Division of Motor Vehicles (DMV) does not issue learner's permits if you want to begin driving. You will be allowed to practice driving as long as you follow certain restrictions and are old enough. Once you are ready to take your road test, you can apply for your driver's license. 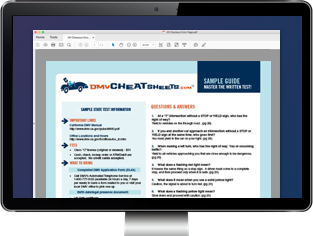 This page gives you information about the driving restrictions you must follow before you get your driver's license, how to prepare for your driving test, and how to become a safe and responsible driver. Have completed a Driver's Ed course, if you're younger than 18 years old. You will need to transfer your out-of-state driver's education course to New Hampshire by calling (603) 227-4075. You can practice driving in NH without a driver's license as long as your driving privileges haven't been revoked/suspended in another state. New Hampshire DOES NOT issue instructional or learner's permits. You can practice driving without a permit or driver's license once you turn 15 1/2 years old. A licensed driver who is at least 25 years old. NOTE: You must carry proof of your age while you are driving. The adult supervising you must be seated in the front seat and must have a valid driver's license. They will be liable for any motor vehicle violation committed by you. Driver's education is helpful at any age, but if you're younger than 18 years old, you MUST complete Driver's Ed before applying for your driver's license. 10 hours of practice driving. Once the class is completed, you'll receive a green Driver's Ed completion certificate, which you will need to submit to the NH DMV. Driver's Ed is offered at all public high schools in New Hampshire and at commercial driving schools. For more information, please refer to our Driver's Ed in New Hampshire page. If you're younger than 18 years old, in addition to driver's education, you must complete supervised driving practice before you will be eligible for a driver's license. You must complete 40 hours of practice driving and keep track of your hours using a Driver's Out-of-Class Log Sheet (Form DSMV 509). 10 hours of the 40 hours must be at night. You will need to present this log when you apply for your driver's license. Full driver's license, if you're 21 years old or older. Youth operator's license, if you're younger than 21 years old. If you're younger than 21 years old, you will be issued a youth operator's license that will carry certain driving restrictions. NOTE: If you're under 18 years old, you must have completed Driver's Ed and the required hours of behind-the-wheel practice (see above). Submit a completed Application for Driver License or Non-Driver ID Card (Form DSMV450). All relevant information must be given, including your legal name, date of birth, and Social Security number. 1 document proving your identity (e.g. valid passport, certified birth certificate). For more information, please refer to this list of required documents. Your Driver's Ed certificate of completion, issued to you by your Driver's Ed instructor. A completed Parent or Guardian Authorization Certificate (Form DSMV 38) signed by your parent or guardian. A completed Driver's Out-Of-Class Log Sheet (Form DSMV 509) signed by your parent or guardian. In preparation for the written exam, the DMV suggests studying the New Hampshire Driver Manual. Your time may be better spent preparing with an online practice test offered by our certified partner. Check them both out and decide for yourself. While driving with your youth driver's license, you must follow certain driving restrictions. For more information, visit our Applying for a New License (Teen Drivers) in New Hampshire page. If you're 21 years old or older, you will be able to apply for your full driver's license. For more information, visit our Applying for a New License (Drivers 18+) in New Hampshire page.